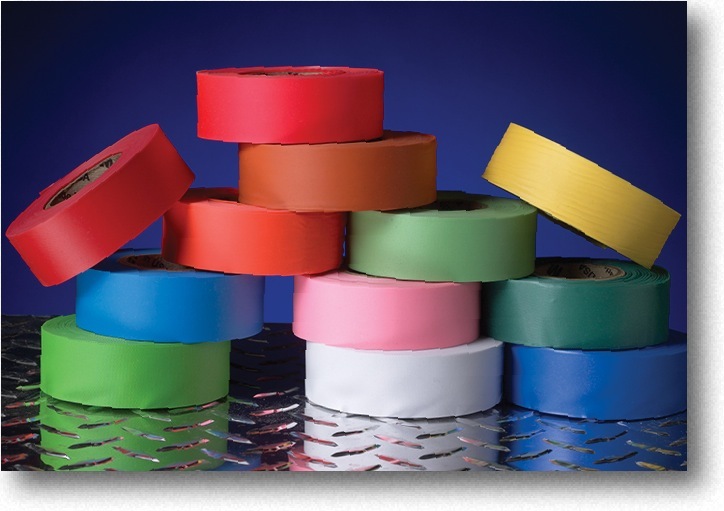 Our “ULTRA” tape is constructed from high quality, economically priced embossed PVC. 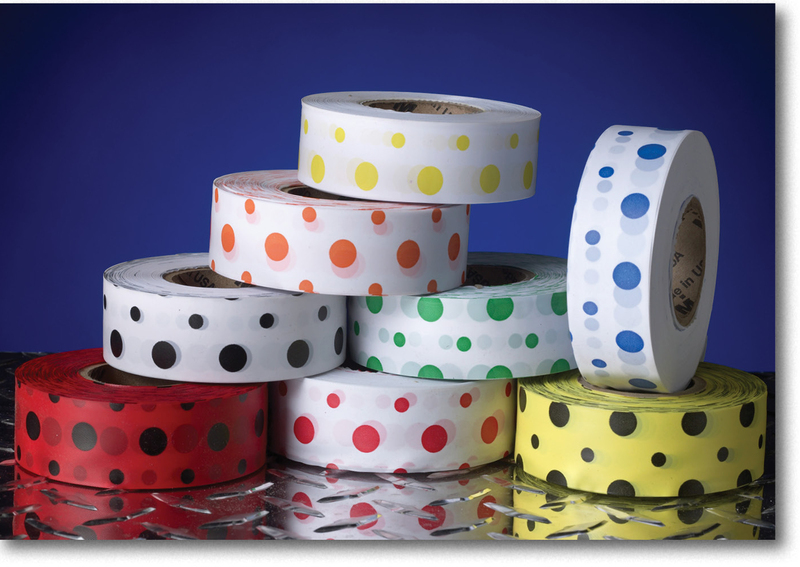 The tape can withstand 0˚ temperatures without cracking, fading, or tearing. Our vibrant colors are the brightest and boldest available and are UV stabilized to provide long-lasting color retention. 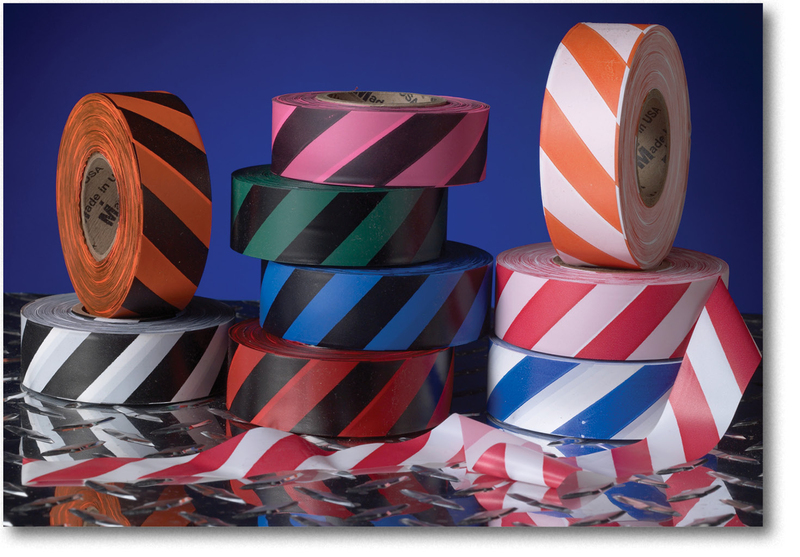 Whether used for surveying, mapping, forestry, tagging, roping off an area, or any other marking application, Our “ULTRA ” tape sets a new standard. In over 41 colors, these tapes are stocked and priced here in 1-3/16” widths x 100 yds, (Glo Colors 50yd rolls) but are available in widths to 48” (minimum orders apply). When ordering, ask for “Ultra” by name.